When I was a child I lived in a neighborhood with many big trees. I tried to climb them if the branches were low enough but my biggest dream was to have a treehouse, which is a structure built in the branches of a tree. 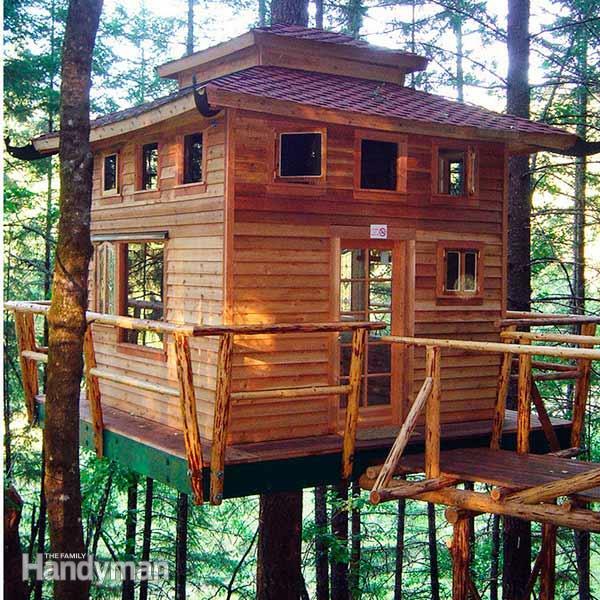 Treehouses can be secret forts or just special places to be in touch with nature and enjoy privacy with your friends. Treehouses are very rudimentary and simple in design because they are typically built by children (hopefully with adult help). Usually support beams or floor platforms are bolted directly into the tree and then you access your treehouse with a ladder or staircase. Nowadays more sophisticated adult treehouses with modern luxuries seem to be the current trend but the reasons to build one are no different from when we were children: to have a small elevated sanctuary. There are spectacular adult treehouses all over the world and I can’t think of any better place to unwind (relax).